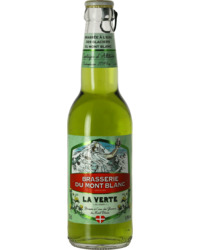 Brewers have long been attracted to the Savoie region of France thanks to the purity of its glacial melt water. 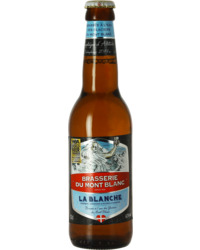 The Brasserie du Mont Blanc can trace its history back nearly 200 years to 1821, when a Monsieur Rabenak operated a brewery employing a staff of one and producing some 6500 litres of beer a year. 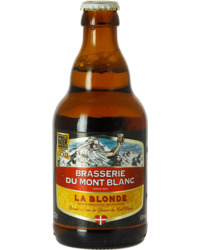 Some 90 years later, in 1911, and with a production capacity of more than 4,000 hectolitres in summer compared with just 150hl in winter, the brewery adopted the name Brasserie du Mont Blanc. Fast-forward to 1999, when entrepreneur Sylvain Chiron returned from studying in the USA, where he had seen first hand the growing popularity of microbreweries. 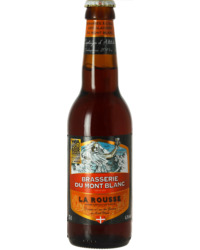 Fascinated by the brewing process, he and his business partners started out brewing spirits and liqueurs, until someone came up with the bright idea of producing a Trappist-style beer. The rest, as they say, is history. 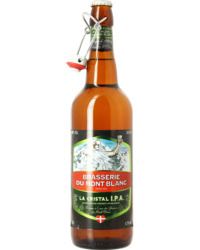 Since then the brewery has gone from strength to strength and now produces exceptional beers using traditional methods and know-how, as well as the finest ingredients, and water from the Enchapleuze spring at 2,074m above sea-level. 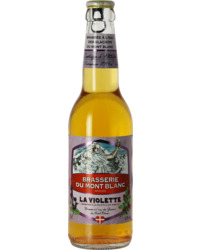 In 1999 the brewery moved to La Motte Servolex in the heart of France's Savoie, the new birthplace of its superb beers.